The outer space is dark and too far to reach. 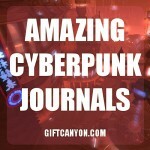 We can take a glimpse of the galaxy and the outer space through books and the web. 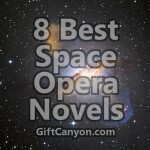 Some space opera authors have beautifully created melodramatic stories that are full of adventure, action and sophisticated technology that keeps our jaws dropping with every turn of events. 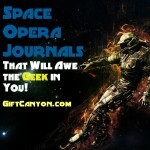 If you are a big fan of space opera or knows someone who does you might think of gift ideas that can remind them of their well-loved outer space. 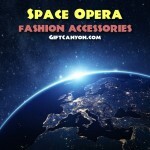 Good thing there are space jewelry available in the market that can cater to your desire. 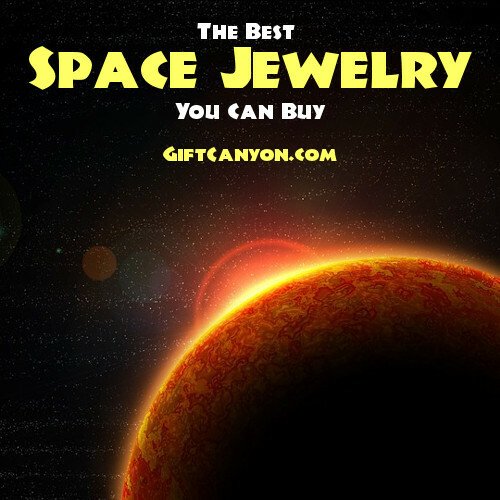 We have enlisted and carefully handpicked the top space jewelry from the market that can make your gift giving prowess a success! 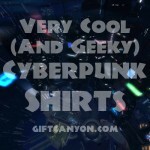 Check them out below for your reference, choose your pick and make someone really feel spacetastic! Take a glimpse of the constellation through this constellation ring. This ring is a one of a kind and eye catchy ring is like a window to the galaxy. Having birthstones or diamonds on rings are overrated, having a different kind of design is refreshing. Check out this hand crafted ring which is made of sterling silver. 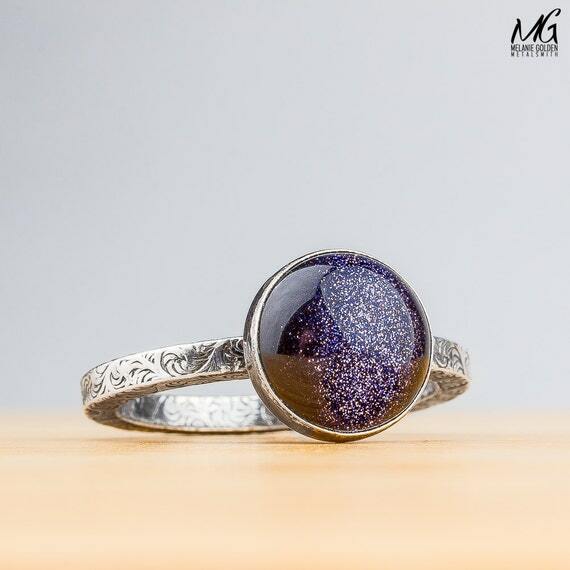 What makes this sparkle among the other rings in the market is that it features a blue goldstone gemstone which resembles the constellation that can be seen at night. The ring band has an intricate design as well, it’s like free forming clouds printed on the ring band. The ring band measures 2.2 mm while the blue goldstone measures 10 mm. It is believed that the goldstone is a stone of ambition since it increases vitality and courage. 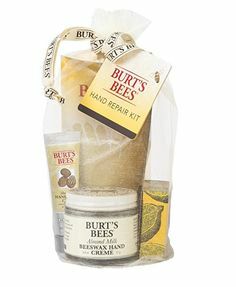 If you want to give zest to someone who seem to lose it or just want to give some cheers from the galaxy. If you want a simple ring but still screams space opera then this galaxy resin ring would be the perfect space opera jewelry for you. This galaxy resin ring is made of charcoal to represent the space. The galaxy is made with glitters, amethyst clusters, gold stone dust to represent the galaxy. 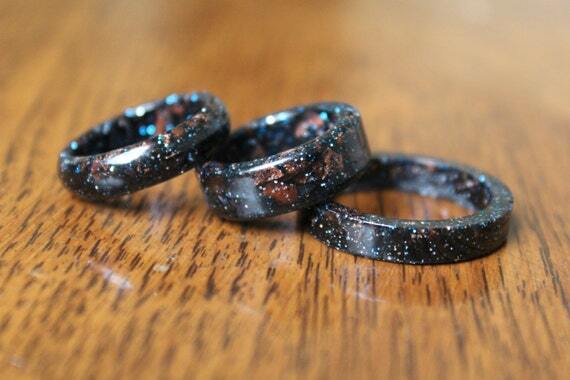 Each galaxy resin ring is made individually or is made to order. 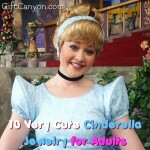 There are sizes to choose from too to fit almost everyone! 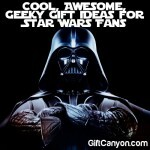 This would be a perfect gift for the minimalist who loves the galaxy and space. Space operas often do occur in the outer space and we see the different planets and even the out of this earth life forms in these novels. If you love the solar system or knows someone who does then this solar system necklace would be the perfect space opera jewelry for you! This necklace is made of seven pendants which represent the planets in the solar system. 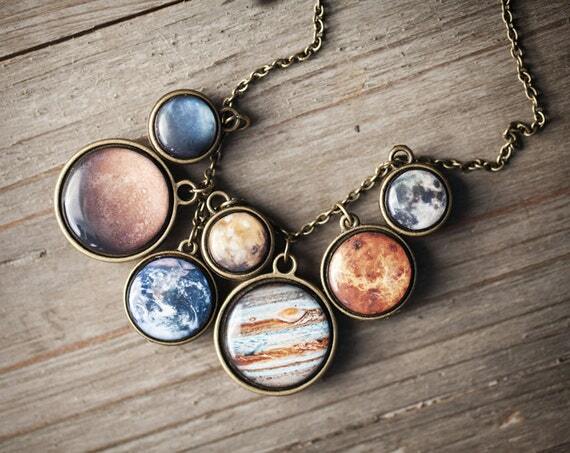 The planets are printed pictures on polymer clay with crystal covers to make it look like mini planets on your neck. The necklace is made of antique brass over iron chain that is nickel free. 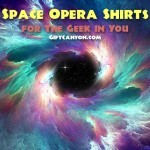 This would rock your day and experience how to be the center of the solar system once you get to wear it. We can’t go to the moon as we like since it’s too far from our home planet. You can have a taste of being close to the moon through this meteorite space necklace. This necklace is made with 10 mg of moon dust that comes with a certificate of authenticity. The pendant is in a tear drop design that you can proudly wear on almost any occasion. This charmer can definitely be a show stopper and conversation starter. The chain of this necklace is made of sterling silver and it comes in a beautiful gift box when bought which makes it ready for gift giving anytime. 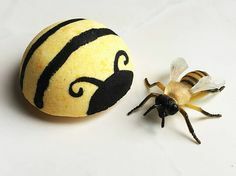 Feeling a bit heavy like the earth is on your shoulders? 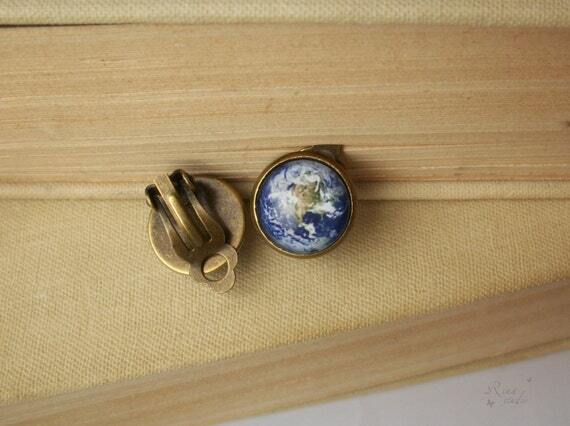 Why not literally take the earth with you and make it as a fashion statement through this earth clip on earrings. These earth clip on earrings are simple yet fascinating pieces of space opera jewelries that will make any space over lover swoon. Clip on earrings makes wearing jewelries easier since all you have to do is to clip them on and you are ready to go! These tiny planets on your ears are printed photos placed on clear glass for a more magnanimous view. 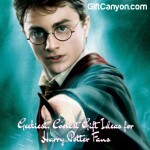 You can also choose the preferred image of the planet that you like too. The diameter of the ring measures 14mm while the earring is made of antique bronze as base. 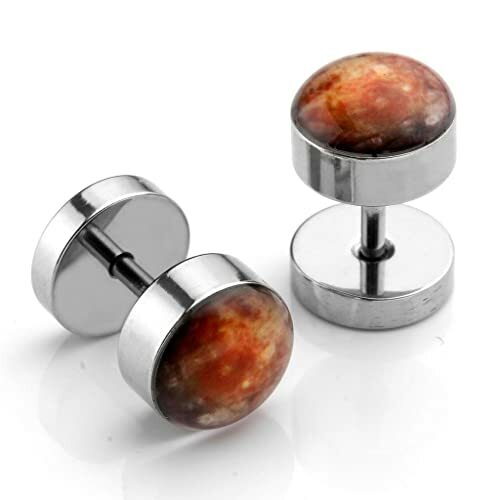 Have a taste of the universe everyday by wearing this pair of solar system stud earrings. 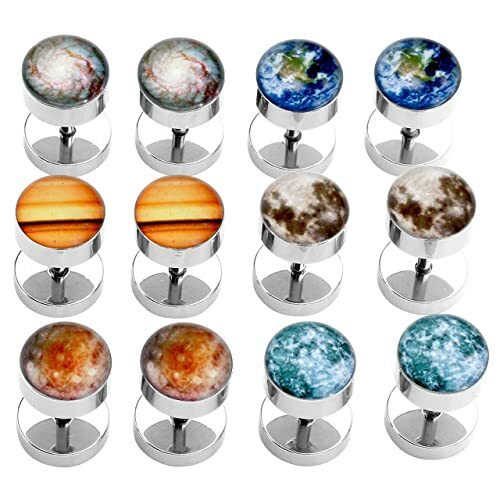 You can change your preferred planet everyday as you please without boundaries since you have the power to choose from this six pairs of stud planet earrings. Each stud earring measures 1.2mm in diameter while the pin measures 5 mm. Choose your preferred planet each day and let your eyes be as eye catchy as ever! Be a space goddess as you please by wearing this attractive body candy with the tag name of space goddess pendant necklace. 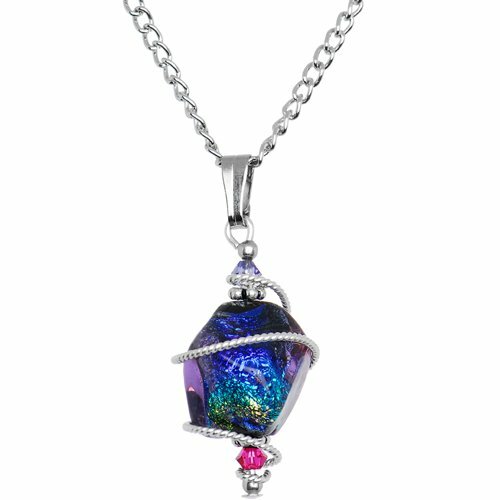 This one of a kind space opera inspired jewelry features a dichoric glass pendant which is made of Swarovski crystals that sparkles and is breathtaking to look at. Be mesmerized and enjoy being a space goddess by putting this eighteen inch necklace on your neck or on your muse’s to capture the beauty that is inspired by space. 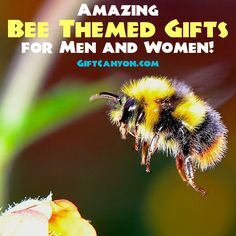 Fickle minded people are difficult to gift since they always have a different preference everyday. 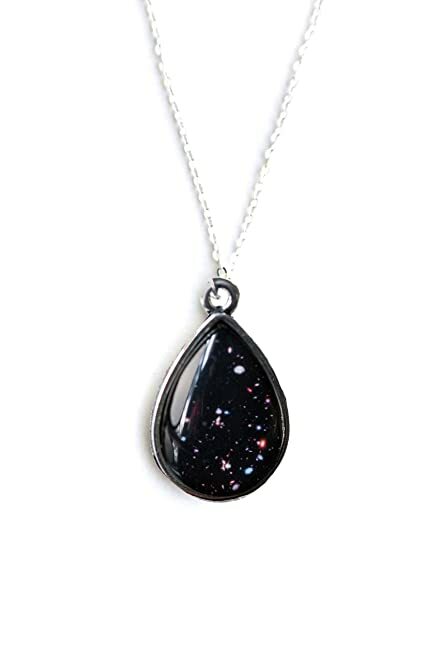 You can keep up with fickle headed fellows by giving them more options to choose from such as this nebula galaxy space necklace. 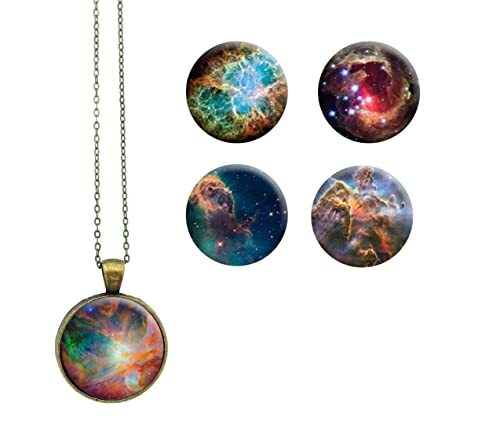 This space opera jewelry comes with five interchangeable designs of nebula pendants that your recipient can playfully do so as she pleases. The chain of this necklace is made of bronze colored chain which makes it classy and sharp when worn. 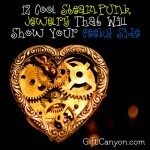 This would certainly rock an space jewelry lovers out there! Do you believe the sentiments of Carl Sagan which says: “we are all drops in the cosmic ocean universe”. If so then this teardrop pendant inspired by the cosmic ocean would be the perfect space opera jewelry for you! This alluring space opera necklace features a teardrop pendant that is inspired by the cosmic universe beautifully hanging in an eighteen inch chain of either antique gold or silver. 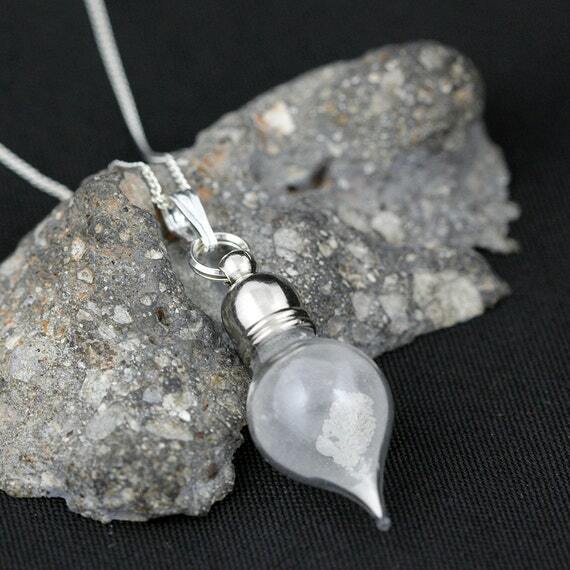 Each purchase of this necklace has an equivalent donation to the Planetary Society. 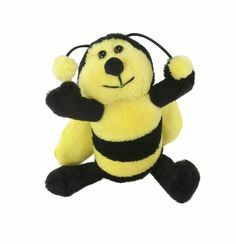 When you love someone, you want to give them everything. You can even promise to give the universe to them if only you could. 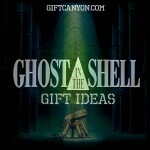 That may be impossible but you can give your loved one a taste of the universe through this universe time gem set. This fabulous gem set has a pair of earrings, bracelet and necklace that are superbly made for your space opera enthusiast who loves jewelries at the same time. 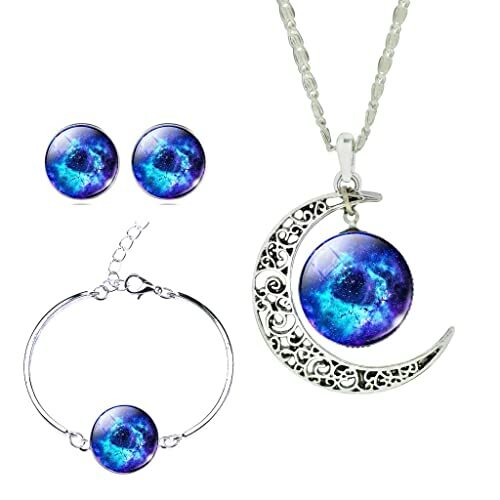 This beautiful space jewelry set can be worn in a sparkling day out when you just want to stand out. You are not the center of the universe, that is what they often say but you can be one by wearing this nine planets bracelet. 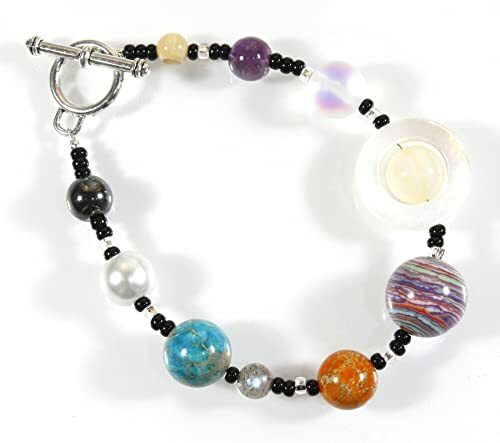 Let the planets revolve around you through these fantastic beadwork of the solar system. Each bead is designed to imitate the planet and you can easily identify which one is because of the intricate details on each. 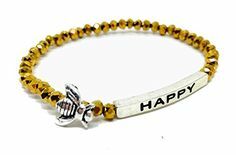 This bracelet is made to fit almost any wrist and it comes with a beautiful gift box when bought.